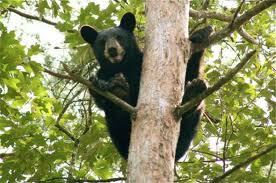 Black bears can be found in the Smoky Mountains. They are basically shy animals but do come around looking for food when it is scarce. Many years ago I remember reading advice to hikers when encountering a bear. They are words that struck me then and are a constant reminder in this journey of the heart. So what does one do when a bear crosses the path? BE BIGGER THAN THE BEAR! When life hands you the unexpected….BE BIGGER THAN THE BEAR! Conflicted relationships, financial downfall….BE BIGGER THAN THE BEAR! 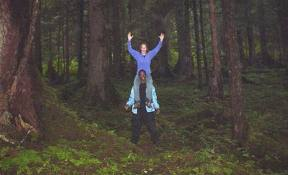 Depression, aloneness, hopelessness, boredom…..BE BIGGER THAN THE BEAR! Pain of the heart, the body, the mind…BE BIGGER THAN THE BEAR! Begin this day…BIGGER THAN THE BEAR! End this day and rest in the Truth…. You walk in communion with the Resurrected One! Thanks for stopping by my blog.. I really like yours. Great thoughts and wonderful pictures. thanks Alicia! God bless you as well. Be bigger than the bear! Catchy and great advice. I do struggle with a few things. Being bigger than the bear is what I’m gonna think on next time and God’s amazing word. Great post. You have a wonderful blog here. I especially love this post on being bigger than the bear. What struck me is that we often think we have to make ourselves bigger than the bear, however we need to remember that the One is who bigger than everything is with us.